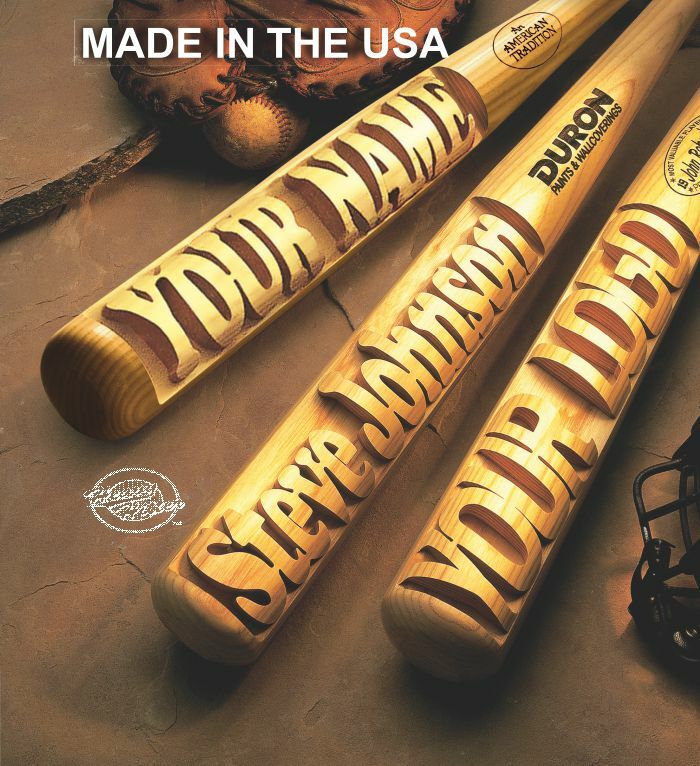 This Bat Features our patented three-dimensional, deep-carved, hand-cut full size professional 18" Rawlings Northern White Ash mini baseball bat. Each Bat can have deep carved names up to 12 letters. Or because you're a Heavy Hitter and it's about time people recognize it!